Country clothing and shooting wear have made great advancements over the last few years. However, it is very easy to be baffled by the technical terms. We hope that the information below helps to explain some of the descriptions our suppliers use! Waterproof - Resists water passing through. Water resistance is measured by the amount of water in mm, which can be suspended above the fabric before the water gradually seeps through. Fabrics are tested to measure the resistance of the textile to water pressure. Many companies have developed their own waterproof membranes such as Seeland with their SEETEX® membrane and Laksen with their CTX™ membrane. Musto use the famous GORE-TEX® waterproof membrane which is guaranteed to keep you dry. Here at The Country Catalogue we have a great range of waterproof coats, trousers, hats and gloves. Breathable - Allows body heat and perspiration to pass through. Breathability is measured by the rate at which water vapour passes through. Garments are tested for the moisture vapour permeability of the textile. Many garments are both waterproof and breathable. Windproof - Doesn't allow the wind to penetrate through. Fabrics are made windproof by the addition of a membrane or by tight weaving so that the gaps between the threads are too small for air to pass through. Seeland has developed it's own WindBeater® membrane which in addition to being windproof, is also breathable. GORE-TEX®, besides being waterproof is also windproof and breathable. A windproof fleece is a great asset for country life! Taped Seams - Liquid sealant of waterproof tape is put along the seams to make them waterproof. This is usually done on the inside so that it can't be seen. Water Repellent - Fabrics are coated with a polymer which encourages surface water to bead and run off. This reduces both drying time and weight as well as offering a certain amount of protection in wet weather. POLARTEC® - The market leader in technical fleece. The undisputed quality is combined with the latest technology to provide a fabric which offers excellent breathability and dries quickly. The 100% polyester velour creates air pockets that trap air and retain body weight, providing outstanding warmth without weight. GORE-TEX® - Guaranteed to keep you dry. A very high quality membrane and regarded as the ultimate fabric for outer garments, GORE-TEX® is waterproof and windproof. The bicompact microporous GORE-TEX® membrane is used as a drop liner between the liner and outer garment layers. It is engineered to withstand gun recoil and will give a good degree of resistance to thorns. WINDSTOPPER® - Provides complete wind protection with outstanding breathability. Ensures that you stay comfortable with fewer layers and less bulky clothing. Thinsulate™ - A flexible lightweight fibre which provides effective insulation of clothing and footwear. 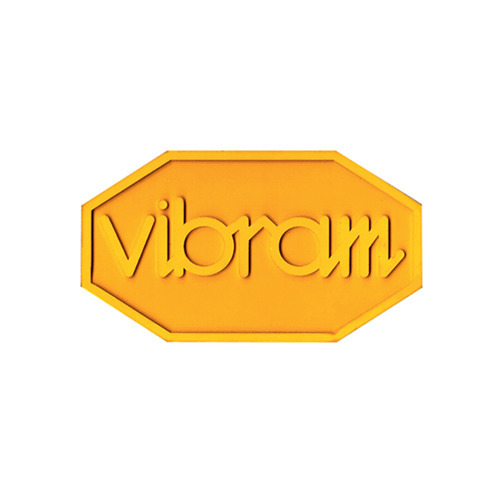 Vibram® - A highly technical specialised sole used in top footwear. Constant research and innovation drives Vibram® towards its objective of designing the ideal sole for any activity. CORDURA® - A high performance, durable material which provides excellent resistance to tears, scuffs and abrasions. It is often used to trim high-wear areas such as collars and cuffs. Teflon® - An anti-stain and water repellent coating. YKK® - A robust and stablezip often used in jackets and fleeces.